Steve Billingsley, sales manager at McCabe Lumber. In Loveland, Ohio, McCabe Lumber is bringing the outside in. The company’s continued focus on decking products has led to a 15% increase in sales in the outdoor living category, and Inside Sales Manager Steve Billingsley says he doesn’t see the rise in customer interest in decking abating any time soon. “It’s a huge category for us for our inside sales-related activity, especially from April to October and even November,” he says. Billingsley, along with his 12 inside sales specialists, have grown to be the premier decking retailer in Southwest Ohio, including the Cincinnati region. Their success has been spearheaded primarily by the company’s annual DeckExpo. 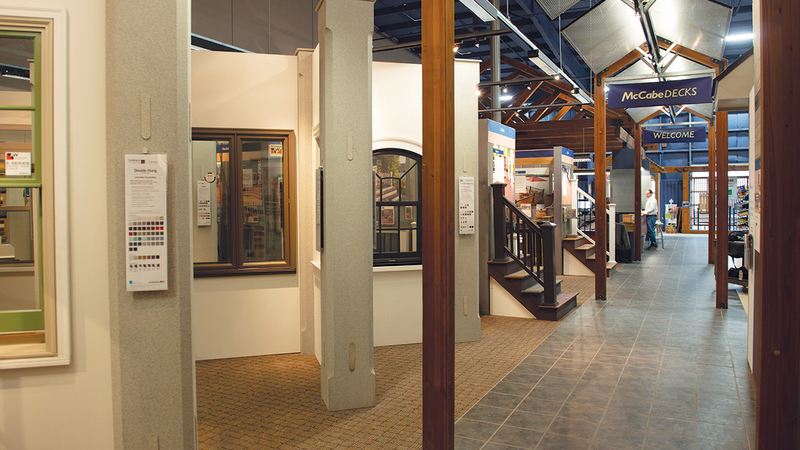 Each April, McCabe Lumber showcases the latest in deck design and product innovation for pro and DIY customers alike. While a high percentage (85% overall) of customers are pro contractors including deck builders, it’s actually the homeowners who end up driving the bulk of the sales, says Jerry Tepe, McCabe’s sales manager. “There’s a lot of DIY activity in the selection of this product category, but that doesn’t mean they’re going to install it. While we’re marketing and advertising and consulting with the homeowner, they’ll still have it all professionally built,” Tepe says. 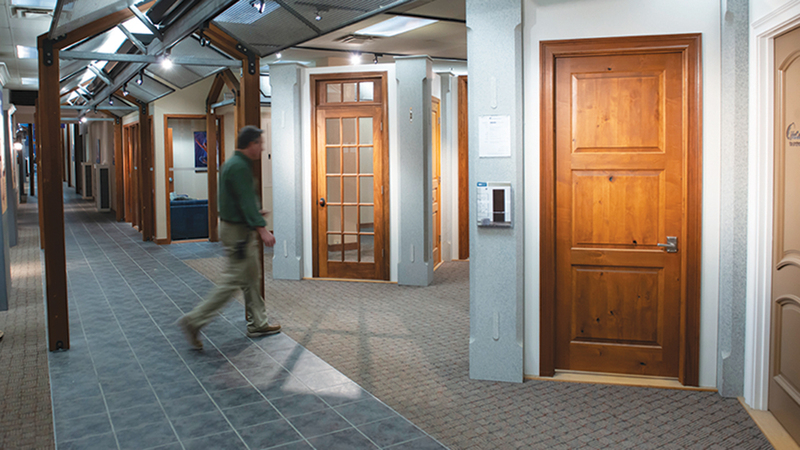 With the largest lumberyard in the region, and a significant showroom, McCabe’s DeckExpo has drawn the attention of not only decking customers, but manufacturers, distributors and other vendors. 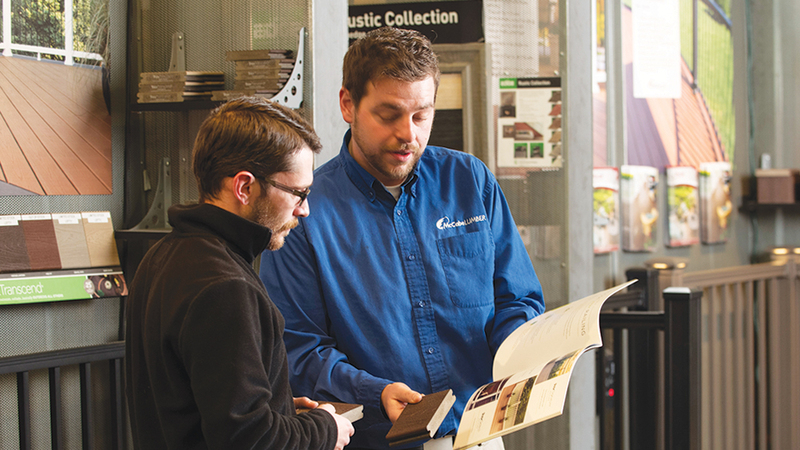 Specialists from key manufacturers are on hand for the DeckExpo each year to answer product questions. The DeckExpo often draws representatives from throughout the outdoor living category, including grill manufacturers. The DeckExpo fuels a large amount of the company’s outdoor living product sales. Tepe says the company sees about 3,000 visitors during the annual event it holds in early April. “About 1,000 of them are decision-makers,” he adds. The DeckExpo takes over the location “inside and outside,” and includes a discount voucher for purchases up to one month after the expo for those who have to give a product or design some additional consideration. Billingsley, along with his 12 inside sales specialists, have grown to be the premier decking retailer in Southwest Ohio, including the Cincinnati region. Their success has been spearheaded primarily bythe company’s annual DeckExpo. Major decking brand displays are set up in multiple locations throughout the facility and a local radio station broadcasts live from the event. 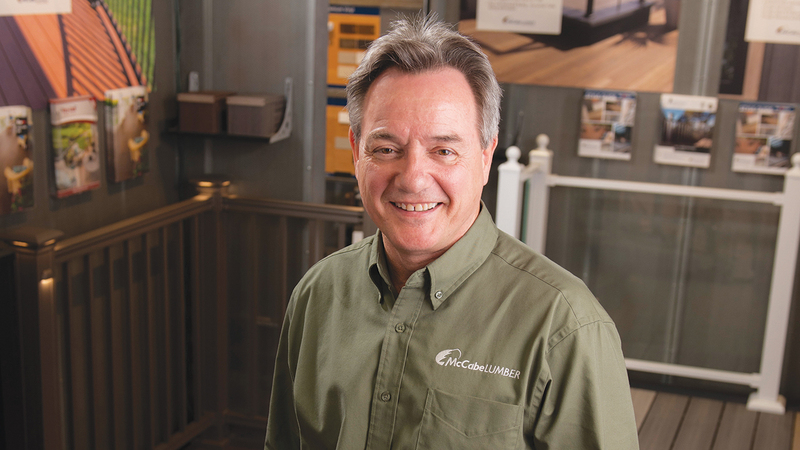 While decking is a seasonal focus for McCabe Lumber, Billingsley says, “it never really stops.” Not letting it stop has elevated McCabe Lumber to its position as a destination retailer in a region that covers from Cincinatti to Northern Kentucky and parts of Indiana. 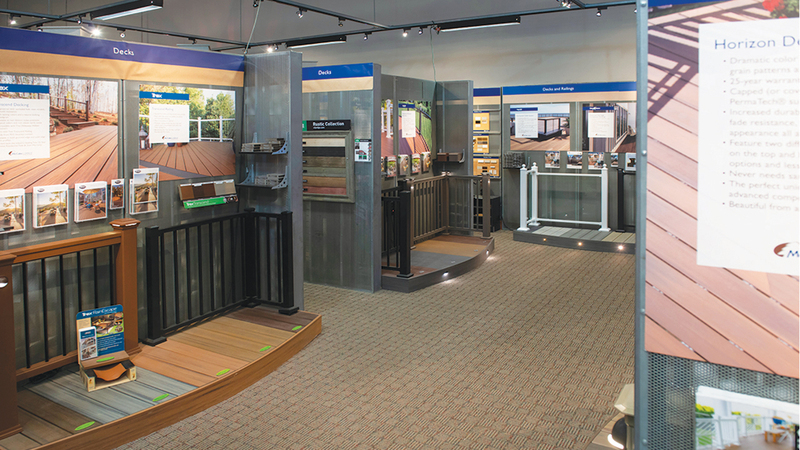 At McCabe, customers find 39 colors of composite decking, four species of wood for decking, lighting, and “more railing options than we can list,” Billingsley says. To put the breadth of railing in perspective, he added that McCabe carries three different cable railing options in stock. With that much decking selection available, there’s no wonder McCabe is seen as a leader in the market. 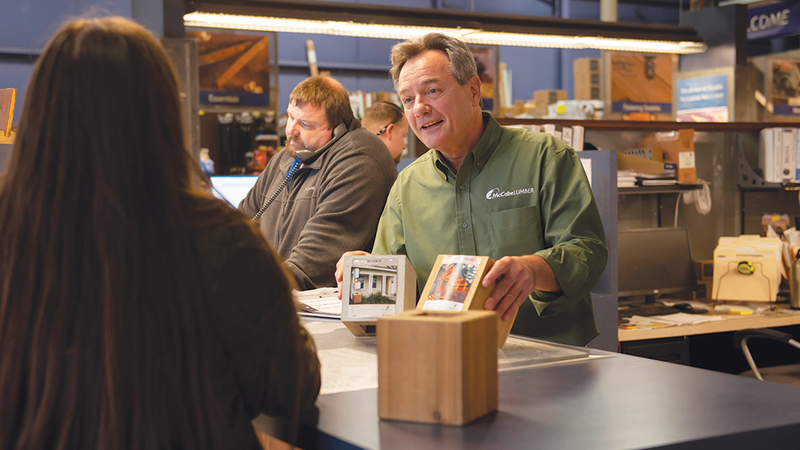 But it’s not just inventory that draws in customers, it’s the expertise that McCabe Lumber’s sales staff offers. A big added value at McCabe is that they not only know decks and accessories, but they know how to quote a deck project. “We make sure they have the right amount of fasteners, decking, and all the details to make sure the install goes as seamlessly as possible.” Tepe says. Beyond that, it’s just getting the materials to the jobsite. McCabe Lumber employs 110, of which 30 to 40 at any given time are working in the manufacturing side of the business that builds trusses and wall panels, and a millwork department that pre-hangs interior and exterior doors. Others are involved in installing windows and doors in new construction. Another 10 are outside sales representatives. 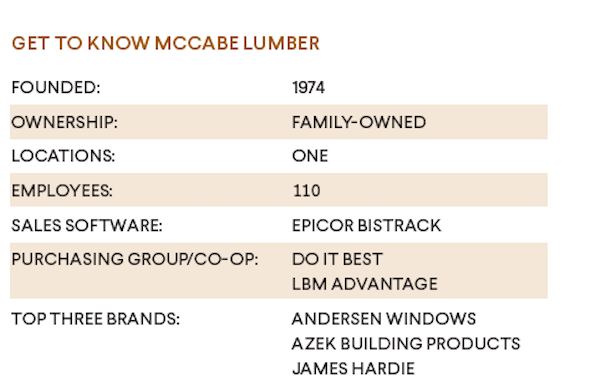 When McCabe Lumber was founded 45 years ago, the home building and remodeling industry wasn’t nearly as focused on the concept of outdoor living. 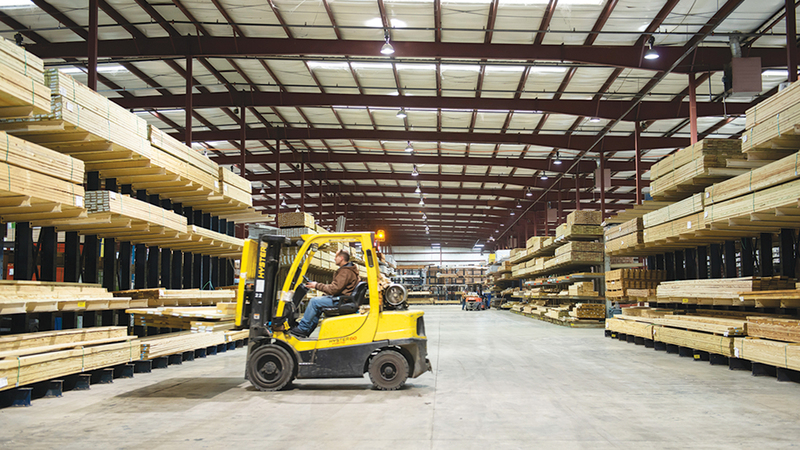 The company started as a hardware store and developed one branch into selling more lumber. 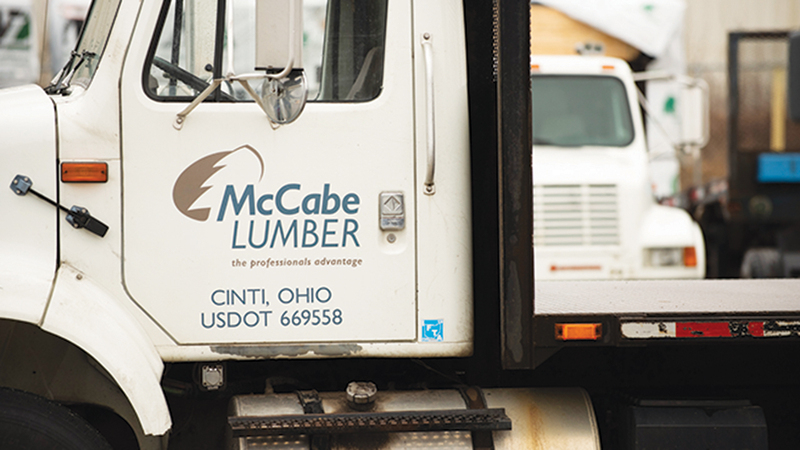 From there, McCabe Lumber was created in the 1990s. There are still remaining McCabe Do it Centers in the market, but they are operated entirely separate from McCabe Lumber, Tepe says. 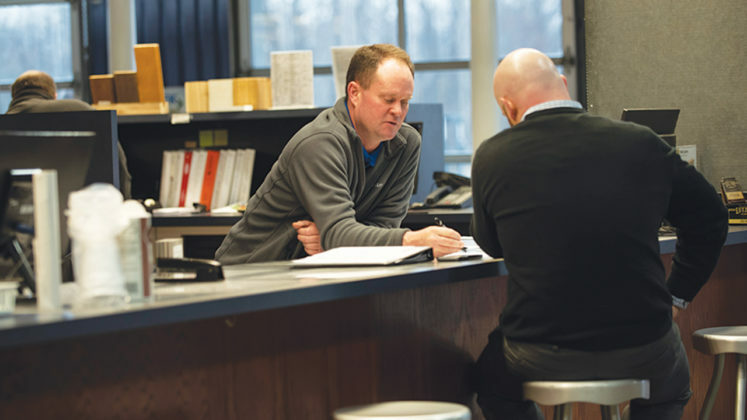 Today, the family-owned company employs 110, of which 30 to 40 at any given time are working in the manufacturing side of the business that builds trusses and wall panels, and a millwork department that pre-hangs interior and exterior doors. Others are involved in installing windows and doors doors in new construction. Another 10 are outside sales representatives. Tepe says the current labor climate has meant hiring more than ever at McCabe and a good portion of his job is helping to ensure that the right people are in the right roles within the company. 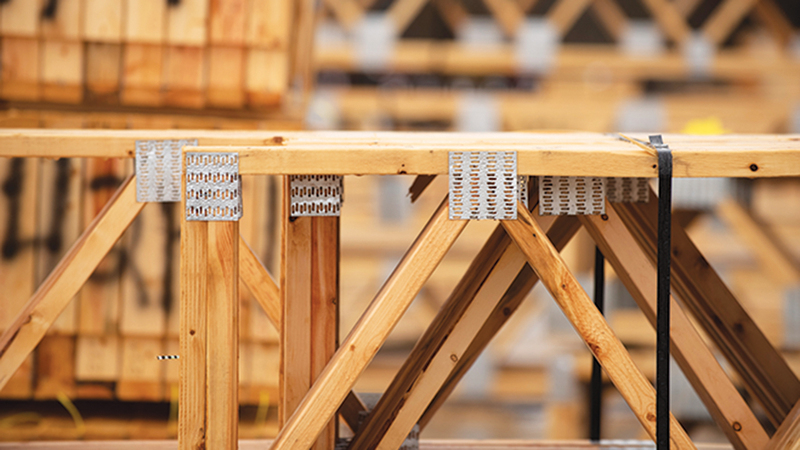 With $48 million in revenue last year, a balanced approach to sustainable sales growth is first and foremost, but Tepe says that decking is leading the way. The company had seen an upward trajectory since 2011 up to last year. While there were “six or seven years where the increase was from 5% to 15%, decking probably grew 12% to 15%,” he says. Last year for the first time the company built an outdoor kitchen into the showroom, and the category is continuing to grow. With a recent introduction of Trex outdoor furniture, the showroom has grown to include even more outdoor living display space.